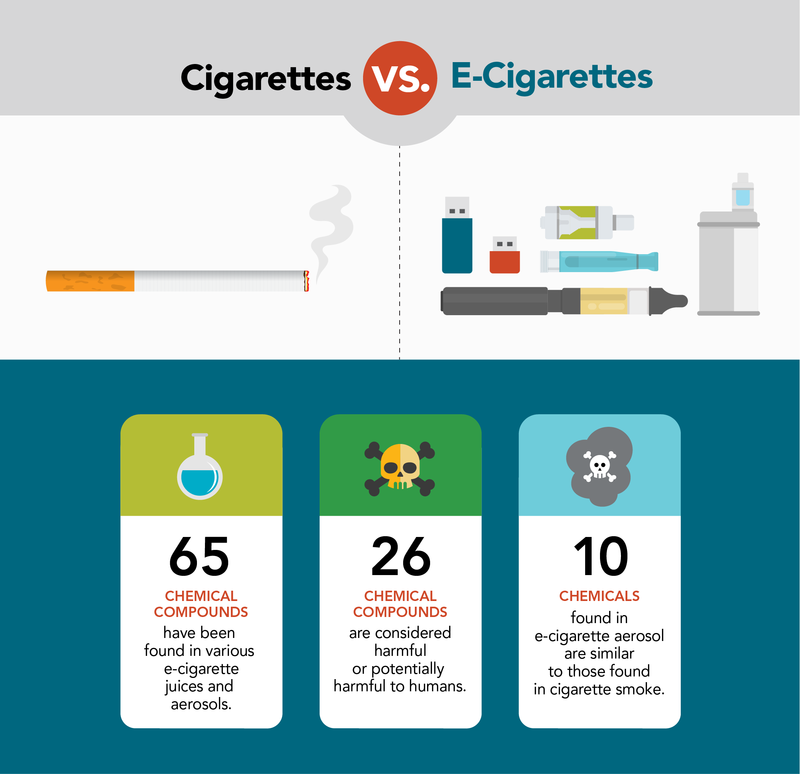 Harmful chemicals, nicotine addiction, disciplinary consequences, and other potential hazards–vaping is risky behavior. Nicotine – Active component of tobacco and found in pesticides. Formaldehyde – A gas often used in building materials, manufactured wood, adhesives, and other materials. Cadmium – Metal found in batteries. Arsenic – A poisonous substance that is often used to kill rodents. View professional translations of this page in Spanish. What Happens If a Student Is Caught Vaping? FCPS’ Student Rights and Responsibilities (SR&R) was updated in September 2018 to include vaping as a prohibited activity. Students found in possession of or using vape products on school grounds will participate in an FCPS intervention program and may receive disciplinary consequences, as noted in the SR&R. Students may face additional sanctions if they participate in a sport or activity where the Virginia High School League (VHSL) participation agreement is in place. There are many mixed messages floating around about vaping. It's time to clear the air. Learn the truth about e-cigarettes from Tobacco Free CO. It's Not Safe to Vape! Did you know that one Juul pod = 20 cigarettes' worth of nicotine? Ready to quit vaping? Sign up for Truth Initiative's free text message program. Text “QUIT” to 202-804-9884. Learn strategies that can help you handle negative peer pressure. Check out fun student-created videos with tips on how to stay well.